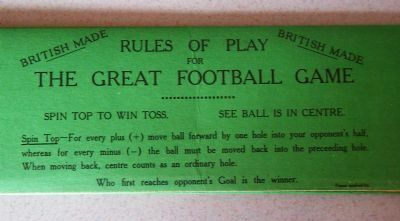 An extremely simple and pleasing game using a card slider to move the ball towards the goal. Nice clean graphics. 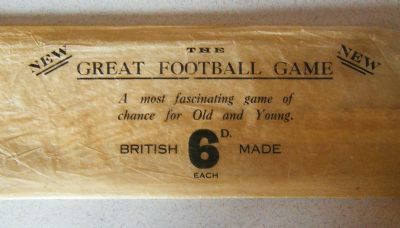 'A most fascinating game of chance for old and young' Delightful. 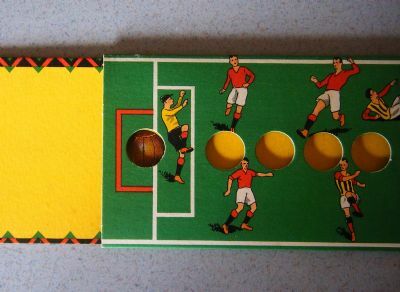 If one player wins five rolls in a row then they score a goal.